Flooded rural land on Sept. 4 north of Richland Center in Richland County, southwestern Wisconsin. Photo courtesy of Wisconsin Emergency Management. The University of Wisconsin-Stevens Point may have to eliminate up to 70 full-time positions after another year of declining enrollment. Enrollment estimates suggest a drop of more than 400 students, bringing enrollment to around 7,700 students. Greg Summers, provost and vice chancellor for academic affairs, said enrollment decline is a continuing trend at the school and cutting up to 70 positions is a worst-case scenario. “So the instructional staff doesn’t need to be as large as it once did, and we’re looking at how to make those adjustments to match the enrollment level that we currently have,” he said, adding the position cuts would not be limited to instructors. Summers attributes most of the continued decline to students graduating faster or opting to go into the workforce straight out of high school because of low unemployment. Summers asked the UW-Stevens Point Common Council in late August for help in creating an advisory group that would craft an academic affairs budget plan by mid-October. Three-hundred-thousand gallons of manure-contaminated water spilled into a creek in northeastern Wisconsin. The spill is believed to have happened late Sunday after a week of heavy rains, combined with a faulty valve at the Phil Roberts farm, which is home to 220 head of cattle. According to the state Department of Natural Resources, a containment pit overflowed into Silver Creek, a tributary of the larger Duck Creek. Snitgen said the spill has killed fish-like minnows, longnose dace and blue gills. He said the DNR, the two counties, and the tribe are working with the farm to pump out the contaminated water. 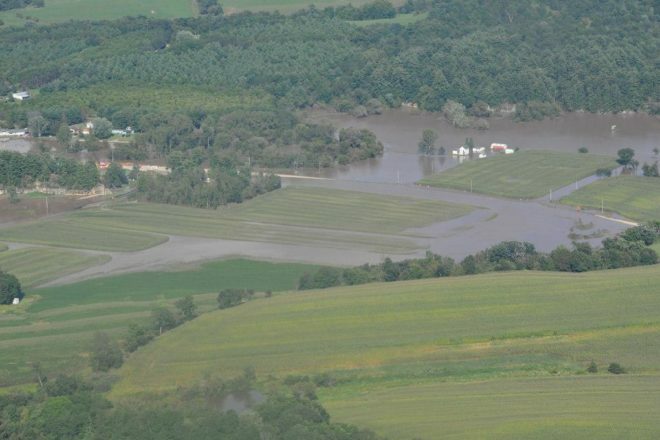 Late summer storms in Wisconsin have ravaged the state’s highways and stormwater systems, but they’ve also had a negative impact on farms across the state. But Sandy Chalmers, the state’s executive director of the USDA Farm Service Agency, said it may be awhile before damage estimates are known as many farm fields are still under water. Gov. Scott Walker tweeted the flooding and storms that began Aug. 17 have caused $208.7 million in damage. That includes $98.2 million in damage to homes, $40.8 million in damage to businesses and $69.6 million to public infrastructure. Dane County estimated it has seen about $155 million in damage. Za Xa Vou, leader of the local chapter of the Wisconsin Lao Veterans Association, Louie Ferris, president of the local chapter of the Korean War Veterans Association, and Nao Tou Lor, former president of the Wisconsin Lao Veterans Association. They are among a group of La Crosse-area veterans working to raise money for a new memorial to Hmong and Lao veterans of the Vietnam War. Photo by Hope Kirwan/WPR. A group of veterans in La Crosse is working to raise money for a new memorial to Hmong and Lao veterans of the Vietnam War. Louie Ferris, president of a local chapter of the Korean War Veterans Association, said he got the idea for a statue after Hmong veterans helped him with other war memorials in La Crosse’s Veterans Freedom Park. 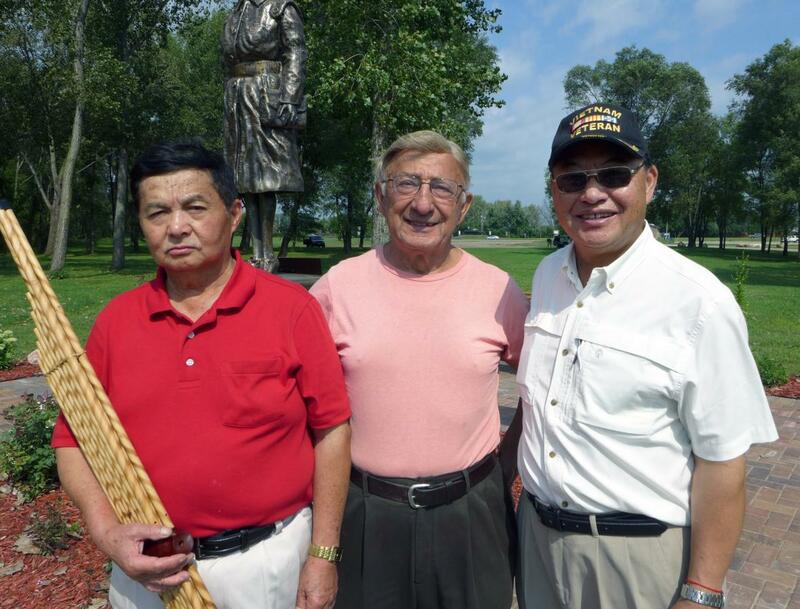 The new memorial will include two statues modeled after local Hmong veterans, including Nao Tou Lor, former president of the Wisconsin Lao Veterans of America. The group is hoping to raise $40,000 for the project. The new memorial will be at least the third of its kind in the state, joining other tributes in Sheboygan and Wausau. Lor estimates there are more than 1,000 Hmong-Lao veterans living in Wisconsin. 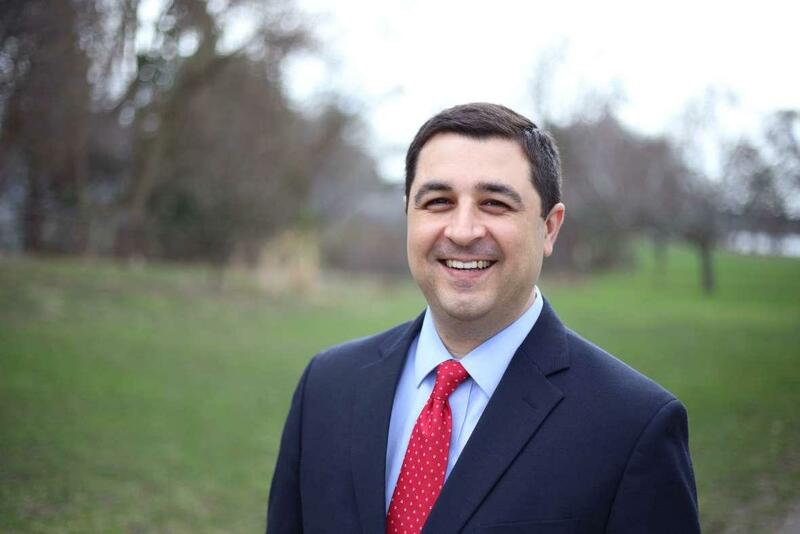 Democratic attorney general candidate Josh Kaul said he thinks current Wisconsin Attorney General Brad Schimel has passed on filing lawsuits that would help Wisconsin consumers. Kaul has been vocal about his opposition to Schimel getting the state involved in a lawsuit challenging the Affordable Care Act, but he outlined a few instances in which he believes Schimel should’ve taken action. “One of the places where I think our AG needs to play a bigger role is when it comes to enforcing the laws that protect our environment and enforcing the laws that protect consumers here in Wisconsin,” Kaul said. Specifically, Kaul mentioned cases other states have pursued relating to student loan companies accused of committing consumer protection violations. The Democratic candidate also brought up a lawsuit signed onto by Democratic attorneys general in 17 states challenging the Trump administration on enforcing for-profit college regulations.